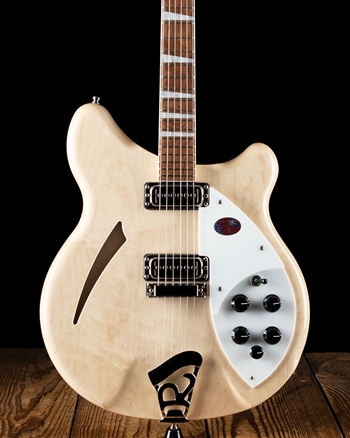 The Model 620 features the famous 'Cresting Wave' Maple cutaway body based on an innovative design from the 1950's. 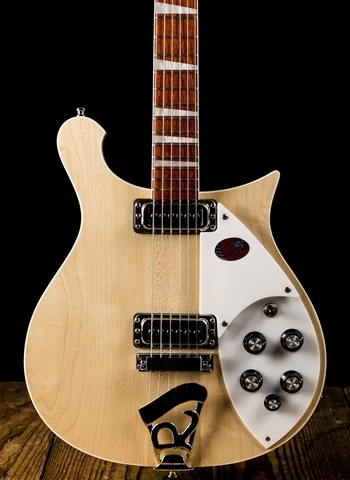 A Rosewood fingerboard is punctuated beautifully with triangular pearloid inlay markers, while the maple double bound neck and body are solid through and through. 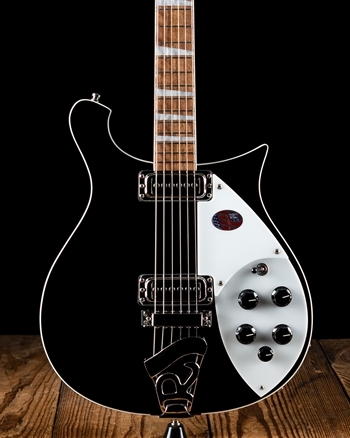 The 620 is electronically engineered to the exacting standards of the 300 series, complete with Rickenbacker's own high gain pickups and stereo output. 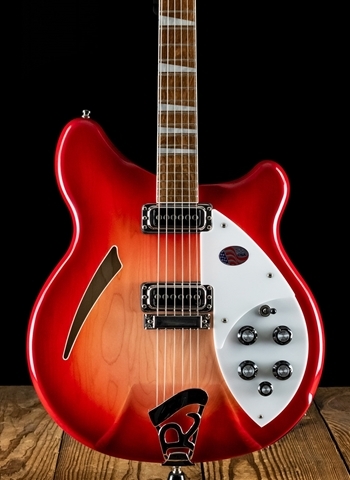 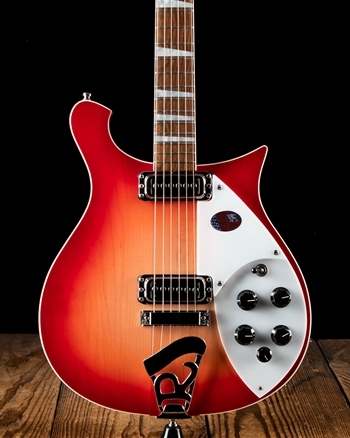 Successfully retaining the balance from the original specifications, the 620 is another fine example of Rickenbacker quality workmanship.